This morning upon leaving Natana with its beautiful view of the Mediterranean, we first visited Caesarea, the Roman capitol of Israel during Jesus’ Ministry. We saw lots of wave action. 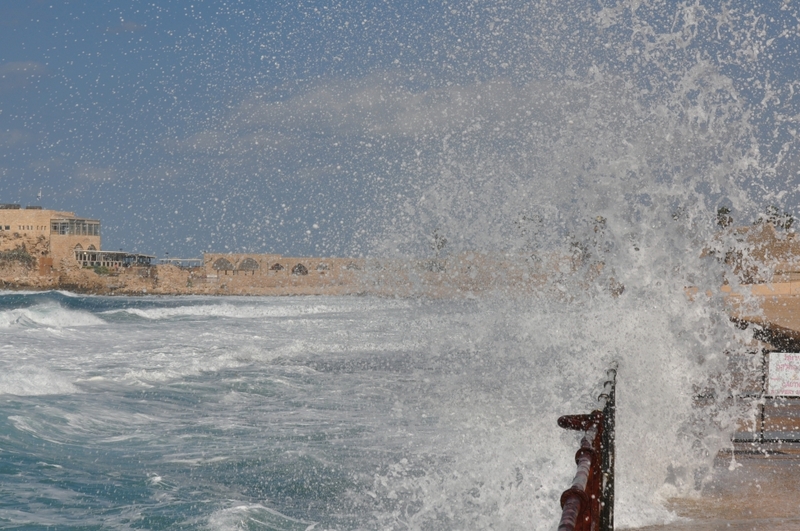 Waves at Caesarea. Photo by Leon Mauldin. Caesarea is mentioned numerous times in the New Testament. 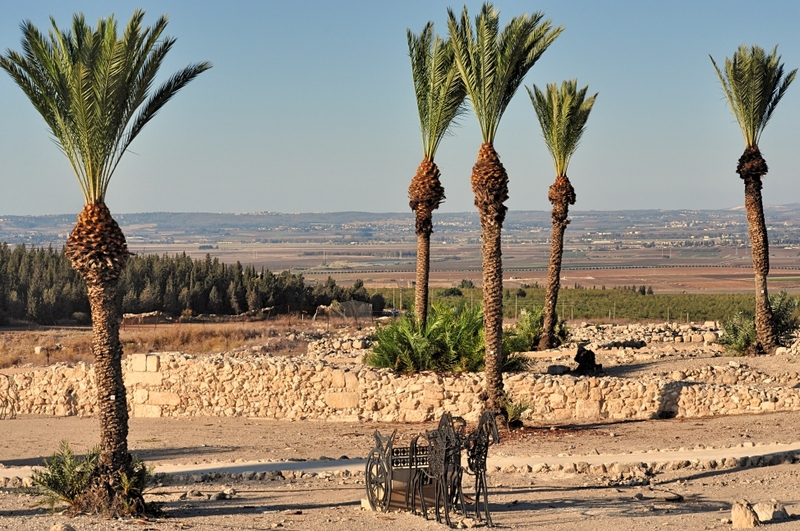 This became the home of Philip the evangelist (Acts 8:40; 21:8). Cornelius, the first Gentile convert, resided here (Acts 10-11). Paul used the port when leaving for Tarsus (Acts 9:30), and when returning from 2nd and 3rd journeys (Acts 18:22; 21:8). Later Paul was imprisoned here for two years (Acts 24:27), during which time he stood before Felix and Drusilla (Acts 24), Festus (Acts 25) and Herod Agrippa II (Acts 26). Paul left for Rome still as a prisoner from here (Acts 27). 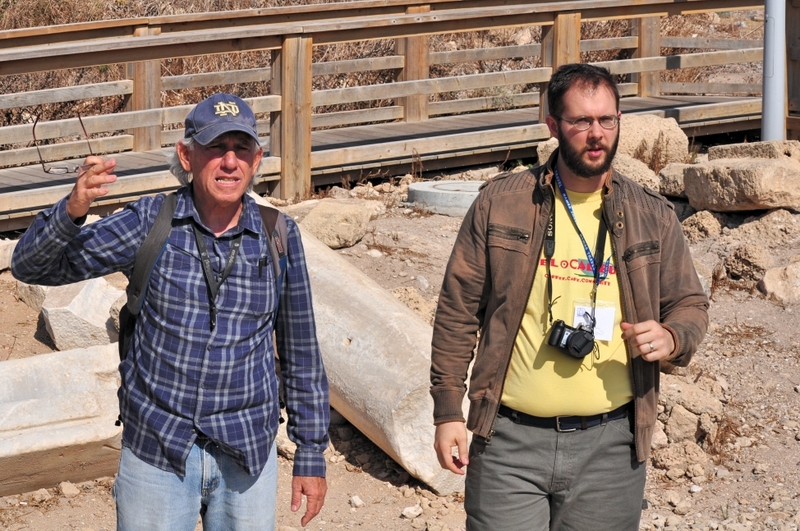 Our Israeli guide, Zack (left), and my son, Seth, at Caesarea. Photo by Leon Mauldin. 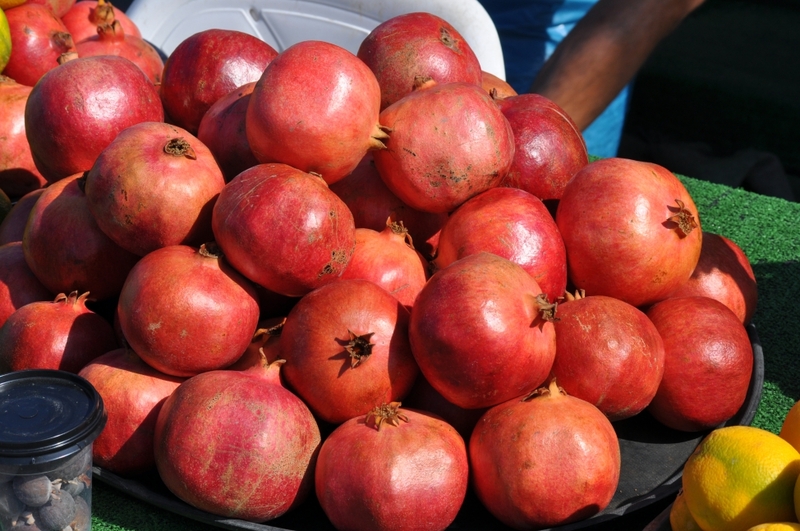 As we were leaving Caesarea I noticed some pomegranates. I was compelled to drink a glass of a couple of these, freshly squeezed. Pomegranates at Caesarea. Photo by Leon Mauldin. Later at the strategic city of Megiddo we saw several points of interest, including Solomon’s stables. Solomon’s Stables at Megiddo. Photo by Leon Mauldin. As we headed on the way to Tiberias we stopped briefly for a photo of Nain of Galilee, the village where Jesus raised from the dead a young man, the only son of a widow (Luke 7:11-17). 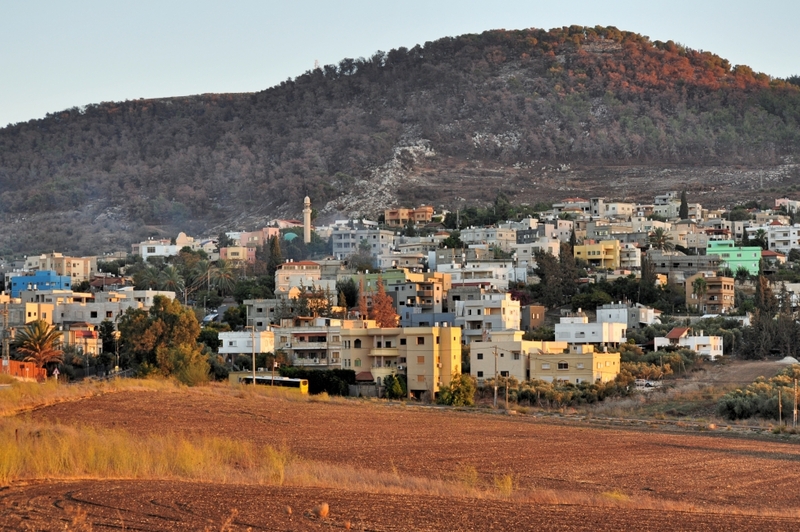 Nain, of Galilee, where Jesus raised a young man from the dead. Photo by Leon Mauldin. Thanks for following our travels. I’m writing this from Tiberias, on the Sea of Galilee. More to come! This entry was posted on Wednesday, November 2nd, 2016 at 3:12 PM and is filed under Bible History and Geography, Bible Places, Bible Study, Caesarea Maritima, Israel, New Testament, Old Testament, photography, Travel. You can follow any responses to this entry through the RSS 2.0 feed. You can leave a response, or trackback from your own site. The waves look like an oil painting, very nice.